The information on this page is from many sources. I have done a lot of research myself, especially searching through old British, Australian and New Zealand newpapers and BDM records, and communicating with members of the extended family in various parts of the world. This has built on the extensive research conducted over many years by other family members, especially by the late John Ireland in Mebourne, and by David de Courcy-Ireland in Belgium. We are all grateful to them for their work on the Ireland genealogy over many years. Please contact me if you have additions, corrections or questions, and particularly if you are related to our branch of the Ireland family. I am generous about sharing my work to further collective research, but please do not copy information and pictures from this site and publish them elsewhere, e.g. on Ancestry, without attribution and without contacting me first. Our branch of the Ireland family came to Australia from Ireland, where they had lived for generations. The family can be traced back to the 13th Century when they owned the manors of Hutte and Hale, Lancashire. Captain James Stanley Ireland (c1781-1856) was the second son of Richard Ireland and Elizabeth Maria Stanley. He served with distinction as an officer in the 87th regiment during Peninsular war (1808-1812); he is believed to be one of six brothers to serve in this war, four of whom lost their lives. After he retired from his miltary career, he served as a stipendiary magistrate and held other civil offices, including surveyor of Irish ports. In 1815, James Stanley Ireland married Matilda Louise Davies (1785-1843) in St Peter's (Church of Ireland), Athlone, Co Roscommon. 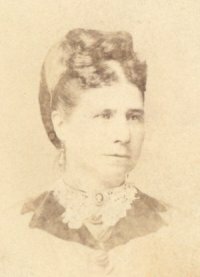 She was the daughter of James Davies, officer and later magistrate of Newcastle, Co Galway, and his wife Catherine Cruise. James Stanley and Matilda had eight children (see below). 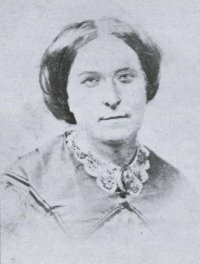 On 20 February 1843, Matilda Louise Ireland died at Lower Gardiner-street, Dublin. In the 1851 England census, James Stanley Ireland is recorded as a retired stipendary magistrate, living at 13 Montpellier Terrace, Ilfracombe, Devon with his 2 youngest daughters. He died on 02 Mar 1856 at Chateau Hunaudieres, Le Mans, France. Richard Davies Ireland was born on 27 October 1815 in County Galway, the eldest son of James Stanley Ireland and Matilda Louise née Davies. He studied law at Trinity College, Dublin and was called to Irish Bar in November 1838. 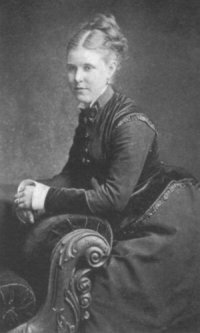 On 28 July 1840, in Dublin, he married Sophia Mary Carr (1821-1875). She was 19 and he was 25. Sophia Mary and her twin sister Selina Frances were the second and third daughters of the Rev Thomas Carpenter Carr (1785-1850) and Frances Susanna Mongan (1794-? ), who had been married on 12 Jan 1812 at St Peter's, Dublin, Ireland by her uncle and guardian, Charles Mongan Warburton, Bishop of Limerick. Richard Davies Ireland successfully practised law in Ireland was also politically active. He was associated with the Young Ireland Movement, was one of Charles Gavin Duffy's colleagues on the Nation newspaper; he supported Irish Confederation. Then he moved with his family to Lancashire, England for a period in the late 1840s. This was ostensibly to work in Manchester to recoup losses from unfortunate railway speculations, just as the Great Irish Famine (1845 and 1852) was taking its toll. But the move may also have been prompted by the arrest of several of his friends and colleagues after the failed Young Irelander Rebellion in 1848. In 1852 he decided to move with his family to Melbourne, Australia, where there were even more opportunities. He was one of several Trinity College educated lawyers to move to Melbourne at about this time. 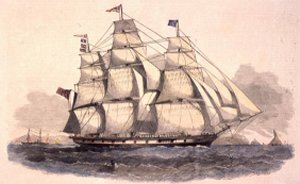 Richard, Sophia and their 8 eldest children arrived in Melbourne on 3 January 1853 on the Ben Nevis ex Liverpool. Travelling with them were Sophia's two unmarried sisters Caroline Charlotte Carr (c1816-1901) and Selina Frances Carr (c1821-1902). Her brother Charles Warburton Carr arrived the following year. The gold rushes had placed enormous strain on accommodation in Melbourne, so the Irelands lived for some time in “Canvas Town", a tent city which had been established on the flat land around Emerald Hill, west of St. Kilda Road and south of the Yarra River. This makeshift town was laid out in streets with shops, residences and pubs, all under canvas. Richard Davies Ireland was admitted to the Victorian Bar in February 1853, a month after he arrived. In July 1854 he served on a committee for welcoming William Smith O'Brien on his visit to Melbourne after O'Brien had been given a conditional pardon and released from custody on Van Diemen's Land. At the festivities, Ireland proposed a toast to the Press - to which he paid a high compliment - which was rather ironic given his later relationship with them. The Eureka Stockade Rebellion on 3 December 1854 prompted Ireland in 1855 to offer his services as defence counsel, pro bono, to Raffaelo Carboni and the others who had been charged with treason. He earned widespread acclaim for his brilliant defence and all of them were acquitted. Ireland was Victoria's leading criminal lawyer for 20 years - there were few cases of notorious crimes in which he did not appear. He took silk in 1863 as Queen's Counsel, one of the first two QCs appointed in Victoria. He was described as well-read, eloquent, clever and witty; an engaging raconteur, rather than a learned or industrious counsel. His conduct of cases was remarkable mostly for his skills of masterly argument. In some ways he was probably rather like John Mortimer's fictional character Rumpole of the Bailey. He earned an estimated £140,000 in fees but was reputed to have spent or given away four fortunes in his lifetime. Ireland was also active in politics. He was first elected to the Legislative Assembly in 1857 and later served as Solicitor-General and Attorney-General. 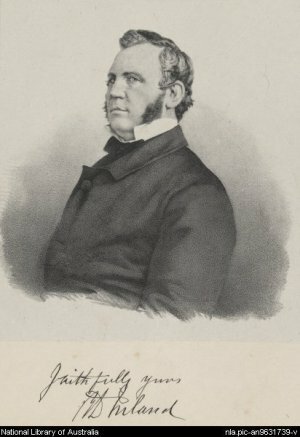 At various times in the 1850s and 1860s he was the member for Castlemaine, Maryborough, Villiers and Heytesbury and Kilmore. He had also been an unsuccessful candidate for the constituencies of South Bourke, Belfast, Warrnambool and North Gipps Land. He retired from politics on a pension of £1000 per annum, one of only two former ministers who had met the requirements for this unpopular entitlement before it was repealed. His personal life reflected his gregarious vivacity and tendency to impulsiveness. He was reputed to have had an affair in 1855 with Henrietta Molesworth, the rather impetuous and flighty wife of Supreme Court Judge Robert Molesworth, who was a neighbour in St Kilda. Ireland's wife, Sophia, had banned the Molesworths from her house, where they had once been frequent visitors. Sophia's brother Charles Warburton Carr had also warned his unmarried older sisters, living with the Irelands, to have nothing to do with Mrs Molesworth. Henrietta Molesworth later sued for divorce on the grounds of cruelty and her husband countersued on the grounds of her adultery with Ireland (and others). The divorce case, in November 1864, was widely reported in the newspapers and full of scandalous details. The jury found no evidence for adultery with Ireland, but found that the conduct of the petitioner (Mrs Molesworth) with Richard Davies Ireland "was unduly familiar for a married woman". 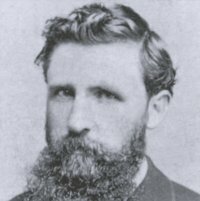 Richard Davies Ireland died at his residence at Balmoral Street, Prahran, Vic, on 11 January 1877. He was 61 years of age. He had been in ill health for some time, with 'softening of the brain and spinal cord' which suggests a stroke and some form of paralysis. He was said to have never recovered from the death of his wife, Sophia, 14 months earlier. He is buried with his wife and young son Garnet in St Kilda Cemetery. James Davies Ireland (20 June 1842 in Dublin, Ireland - 10 September 1883) did not marry; he died after being lost in a snowstorm trying to cross from Omeo to Harrietville, Vic, Australia. 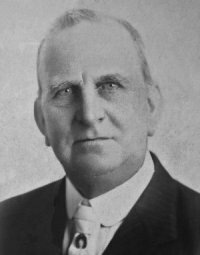 Arthur George Ireland (1882-1936); married in 1918 widow Ethel J Bowden (c1893-1954); she already had 1 child who took his stepfather's surname. This information is a brief interim summary; there is more about the Irelands to come.